If you’re dreaming up a fencing project, there’s one crucial thing you need to consider before you start selecting the design, size, material and scope. 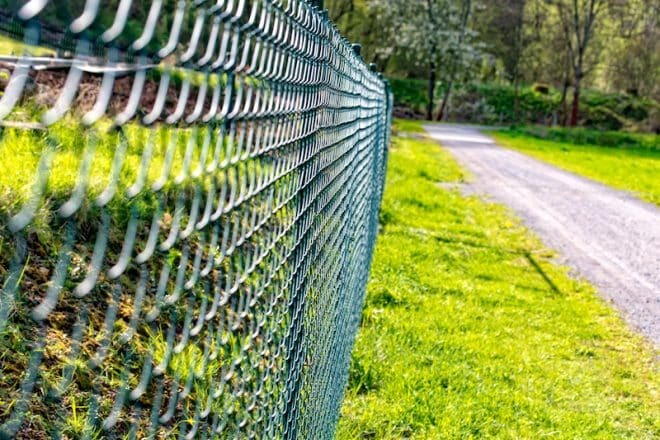 Every council in Victoria has laws regarding fencing on private and commercial properties. These aren’t recommendations about how you should build your fence, they are actual laws that you must follow, or you may get a visit from a council official letting you know you have to tear it down. If that happens, you’ve basically doubled the cost of your fencing project, so it’s essential that you research the laws in your local council before you commence. Everlast Services is based in Hoppers Crossing, so this is a rundown of the fencing laws in Wyndham City Council. Does Every Type of Fence Require a Building Permit? Is within 9 metres of a point of intersection at the title boundary and is over 1 metres high. If your front fence is within 3 metres of the street at the front of your property, you can only build it to a height of 2 metres for a declared road, and 1.5 metres in all other cases. A declared road is essentially a freeway or an arterial road and pertains to the definition as set out by the Road Management Act 2004. If your fence is within 9 metres of an intersection of street alignments, it cannot be higher than 1 metre. The street alignment is the front title of your boundary, not the kerb or channel. The barbed wire or sharp protrusions are built into the fence at least 2 metres above street level. More than 6.9m 2m plus an additional distance calculated at the rate of 1 metre for every metre of height over 6.9m. If the fence is more than 3 metres in height, you have to set the fence back at least half the height of the fence. So, for a 3 metre fence, you need to set it back 1.5 metres. If you’re building a 2 metre or higher fence, you have to make sure that it will allow for a private open space to have at least 5 hours of sunlight between 9am and 3pm. If the area already gets less than 5 hours, you can’t reduce the amount of sunlight it receives. A private open space is defined as any space that is the lesser of 3 metres in dimension, 40 square metres, 75% of the total recreational open space, and intended for outdoor recreation activities. The Council doesn’t just set out fencing laws, they make sure they do their bit when it comes to maintaining fenced abutting their property like all good neighbours should. But, they’re only willing to do so for a timber paling 1.95 metre fence, if you build anything else you will have to bear the brunt of additional charges. This cost sharing only applies to side or front fences, or if your property is part of a newly created Subdivision that now abuts a Council property. Does that all sound a bit complicated? That’s because it is, and Council’s love changing the rules too! So, get in touch with the fencing expert at Everlast Services, and we’ll look after all the permits and make sure everything is in line.